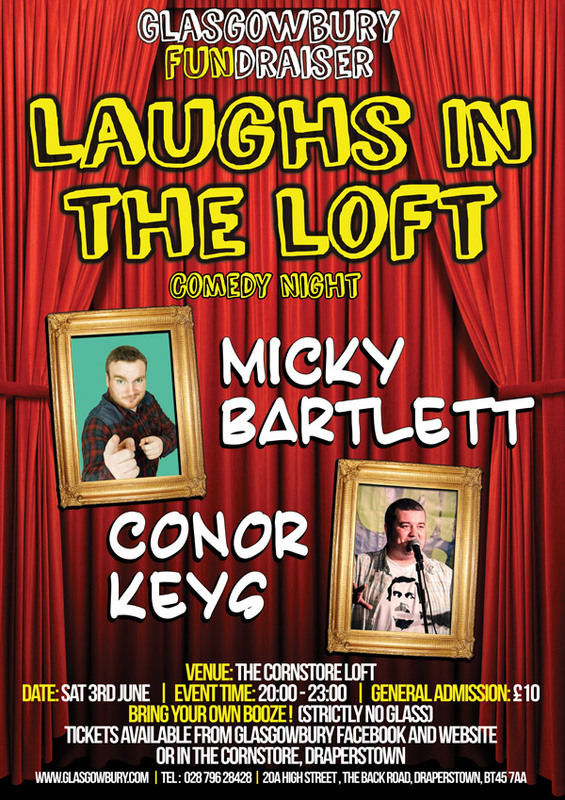 Glasgowbury Fundraiser Laughs In The Loft Comedy Night featuring Comedians Micky Bartlett + Conor Keys. The last time the lads came we had a sold out night of laughter. This is a Bring your own Booze event. Tickets £10 In Gburys HQ Cornstore Creative Hub or online on our Facebook page.